A flowing stone filler with special pigments which imitate the natural stone, can be coloured, fast and excellent surface drying. 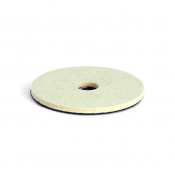 Used for filling small holes or cracks, for bonding natural stone in a horizontal position and preserving the natural appearance of the slabs or tiles. Suited best for restoration.